Developed and designed by an anesthesiologist for use with confidence! 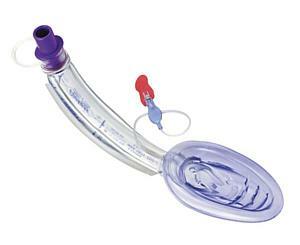 Now with an integrated channel for use with an nasogastric tube for managing potential gastric fluids. The new & improved design, with integrated soft, flexible channel guide to access the esophagus, has evolved into a superior airway. Clinicians can now place an NG Tube through the air-Q Blocker channel. 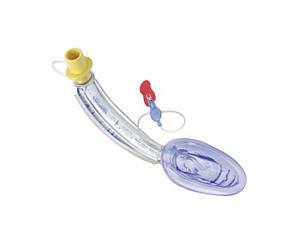 Use as a primary airway device when an oral endotracheal tube is not necessary. 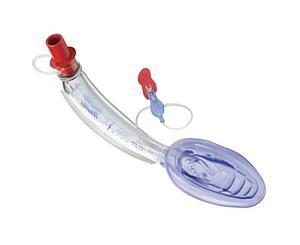 Use as an aid to intubation in difficult airway situation. Well suited when a bite block and/or access to posterior pharynx and upper esophagus is desired. Removable color.coded connector allows intubation through the airway tube with any standard ET tubes. Built. up mask heel for improved seal. Blocker Channel accepts NG or Blocker tubes for accessing posterior pharynx and managing the esophagus. The tethered connector avoids misplacing the connector. Elevation ramp facilitates intubation & directs the ET tube toward the laryngeal Inlet. Integrated bite block makes mask easier to place, reinforces the tube & diminishes the need for separate bite block.